Aidacare’s extensive mobility and daily living aid range offers something for everyone. 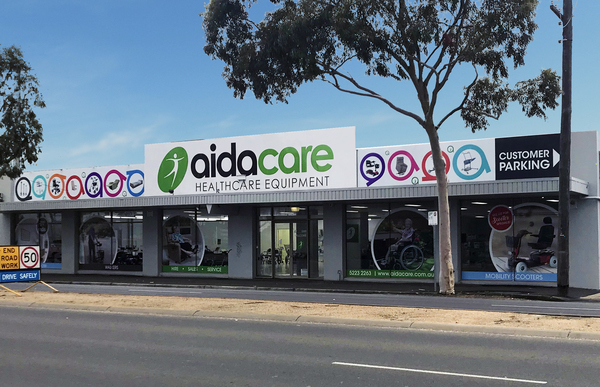 Aidacare’s Geelong showroom has recently moved, allowing for a more expansive range of mobility and daily living aids which are now on display for customers to visit and trial. Aidacare understands the challenges and importance of independence and having the ability to travel from one place to another. Their extensive mobility and daily living aid range offers something for everyone. Mobility scooters have changed the lives of millions of people with health issues and disabilities. They allow people who may not have previously been able to travel far without assistance to gain a significant level of independence. They can also help to combat the social isolation and health implications of the elderly or someone living with a disability. With a mobility scooter, it’s easier to partake in daily activities and excursions. No longer does a trip to the shops or to meet a friend for coffee require a high-level of planning. Aidacare’s friendly staff are able to assist with any requirements for mobility aids, bathroom and bedroom aids, beds and pressure care mattresses and cushions, as well as motorised scooters, chairs and power wheelchairs. Aidacare’s expert staff are there to help their customers to find the right solution to meet their individual mobility and daily living needs. Aidacare has been servicing the Barwon region for over 20 years. Visit their new Geelong Super Store at 38-42 Mercer Street. To find out more call, 5223 2263.